First, my unbiased and relatively spoiler-free opinion. It was a fairly decent movie, more dramatic than the first one (The Lion, the Witch and the Wardrobe). There was some really beautiful scenery that reminds one of The Lord of the Rings films and had me wondering where on earth they shot those parts. The soundtrack I liked, but I’m not really qualified to give detailed commentary on it, so I’ll leave it at that. Decent art direction and design, with an interesting take on Telmarine fashion (those little flat ruffle detail thingies on collars and sleeves, especially). One thing I didn’t like was the accent the Telmarines had. It was… Irritating. But since the Telmarines aren’t native Narnians, I suppose it’s natural for them to have a different accent. Storywise, there were one or two bits that could have used more explaining, but that’s not a particularly major complaint for me. But certain other things, like a romantic link between two of the main characters, were rather a waste of screentime, especially since there was not enough shown of the character interaction to make it really believable. All in all, it’s probably one of the more worthwhile shows out in cinemas at the moment. 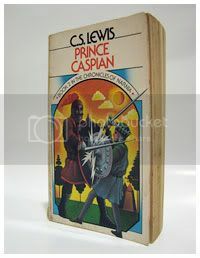 Now… For my frank – and full of spoilers – opinion as someone who has read this book over and over again and counts it as one of her three favourite books in the Narnia Chronicles (alongside The Horse and His Boy and The Silver Chair). I absolutely did not like what they did with Peter’s character. They made him slightly arrogant, stubborn and impatient. That’s not the Peter Pevensie I remember from the books at all. 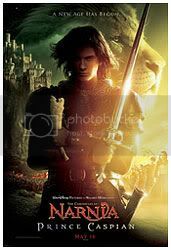 In a way, it’s logical to assume he could have become like that, after being High King of Narnia for so long. But the fact is that he wasn’t like that in the book. Maybe the personality change was necessary, since things in the movie needed to be restructured somewhat – almost half the book was a narrative from Trumpkin the Dwarf, setting up events for the second half and might not have made particularly great cinema. Nikabrik’s suggestion of summoning the White Witch using the dark arts with the help of a hag and a werewolf was another major change. In the book they barely go beyond the suggestion of it, but in the movie, it’s a full-blown summoning, with the Witch in an icy wall almost coming back to life, just needing “one drop of a Son of Adam’s blood” and Caspian and Peter both almost succumbing to her. Edmund had to become the hero, plunging his sword through the ice and shattering it. But I guess the scene served its purpose of showing just how desperate Peter and Caspian were, and how much Edmund had changed since then. The other major thing that bugged me was the (implied) romance or romantic possibility between Caspian and Susan. I thought it was completely unnecessary, not contributing a single thing to the story. It didn’t help move the story along, nor did it hinder the story. It was just there. There was no point in adding it. They spent so little time on it anyway that I felt it wasn’t really believable. Oh, and since Susan isn’t coming back to Narnia anymore, it becomes even more pointless. A more minor complaint from me would be that I don’t really like how Centaurs are portrayed in the Narnia movies. They look dirty, bedraggled and like a bunch of uncouth savages. Or cavemen. Whatever. They just didn’t come across as being really regal and admirable, as they’re described in the books. I also wish they had put in more of the Dryads and Hamadryads instead of just a bunch of moving trees for the final battle. Granted, those trees were mighty impressive, but it would have been far more interesting to see the mythical folk of the woods come out as well. On a positive note, the way they restructured the story did kind of work, even if I hated the personality changes. The movie started out exciting, with the birth of Miraz’s son and Caspian’s flight into the woods, which was a much better way to kick off a film than if they had used the exact beginning of the book (with the Pevensies at the station). My take of the whole show without reading the books.